Home » GENERAL » Do safety shoes need to be replaced? After a long time using your safety shoes intensively, the fateful time has come: you have to replace them with a new pair! But how do you know when it is time to toss your old pair of safety shoes away and buy a new one? And actually, do safety shoes need to be replaced at all, if they’re not broken? Let’s find out in this article! Some people take a long time to choose a good pair of safety shoes to buy and when they do, they think they will last forever. But it is not so! 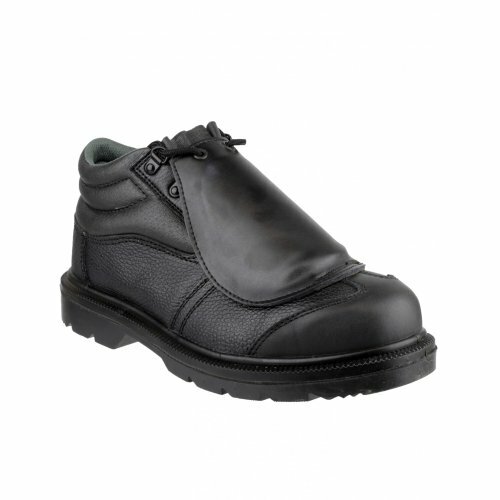 The regulations require safety shoes to comply with certain standards. For safety shoes there is the standard 20345, that divides safety shoes into categories according to their characteristics. This makes it for every one easier to distinguish and choose safety footwear. But buying and wearing the right kind of safety shoes for your needs isn’t enough. Indeed, all workers should know how to take care of their safety footwear, and when it is time to replace them. 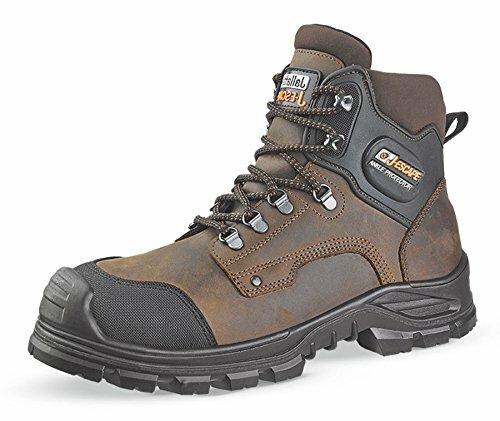 Knowing when a pair of safety shoes is approaching the end of its life is important. Safety shoes need to be replaced? All safety shoes that comply with the current legislation must give the wearer protection from impacts and compressions. Such protection is assured by the presence of a protective toecap which covers the toes. The toecap is an integral part of the shoe and it’s designed to protect the toes from falling objects. Such footwear must be replaced after each impact or compression, especially if you see dents on the toecap. As some hits don’t leave signs of damage on the toecap, you can’t know whether the protection has been compromised or not, so it’s better to replace the shoes. Besides you should change your safety shoes if any part of the toecap becomes visible, because at the very least that means the water resistance is compromised. In any case, I suggest that next time you buy a product fitted with an overcap. Finally, you should also keep an eye on the soles: if the sole is too worn out its properties may be compromised: slip resistance, stability, torsion resistance, impermeability to water and other liquids, etc. 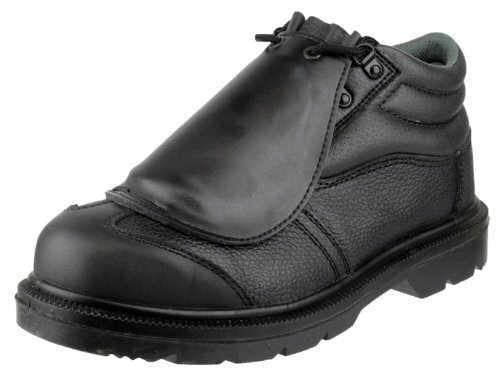 Safety shoes with metatarsal protection are designed to protect the upper part of the foot (the metatarsal bone) and of the toes. The protective piece must be non-removable. Just as for shoes with toecaps, these shoes should be replaced after an impact. Also, they should be replaced if the inner or outer lining of the protection is visibly torn or in any way damaged. Conductive safety footwear protects the wearer from the risk of accumulating static electricity on his or her body, to avoid the formation of sparks which in some workplaces may cause fires or explosions (in the presence of flammable substances or explosives). To understand if you need to replace your conductive safety shoes you must look at the soles: they must be kept clean and free of foreign objects such as nails, screws and metal scraps, because such objects could affect the conductivity. Of course excessive wear can compromise the electrical properties of the footwear too, so if the soles are very worn out, it’s time to get a new pair. Conductive safety shoes must also be replaced if the soles are pierced, cut, or they’re way thinner than they used to be. There is no fixed time after which a pair of conductive safety shoes stop working properly: it depends on the weight of the wearer and on the type of activities he carries out at work. Such footwear is equipped with puncture-resistant soles that reduce the risks of foot injuries caused by sharp or pointy objects. 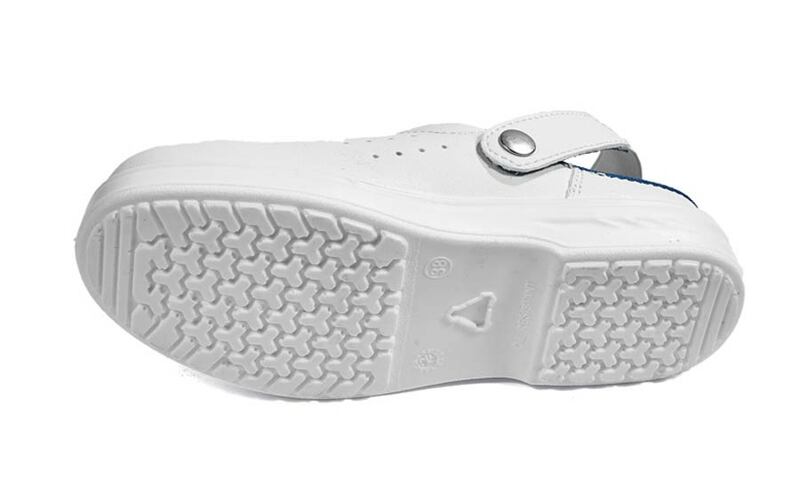 Similarly to safety shoes with toecaps and with metatarsal protection, this type of footwear must be changed when an object pierces the sole. Such shoes are designed to protect the feet from chemical substances that are used during certain work activities. They are generally made of polymeric materials such as rubber or PVC. Regardless of what materials they’re made of, these shoes must be replaced if they are discolored or if they show any signs of superficial damage, delamination, swelling, cracks etc. Like other types of safety shoes, the sole is the most important part of slip-resistant safety footwear, therefore the wear of the soles should be checked regularly. When the sole is too worn out, the shoes must be replaced. If your feet ache while you’re wearing your safety shoes, especially if you are at work, your body will gradually be affected. Yes: when misused, safety shoes can even be harmful! So besides checking the level of wear of your safety shoes, you should replace them when they’re not comfortable anymore. Comfort should be given particular attention by all those workers who carry out heavy activities in difficult environments, especially if their shoes have toecaps. 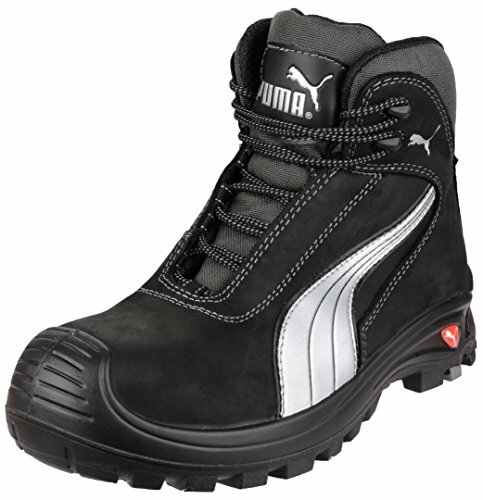 Nowadays comfort has become a key factor for distinguishing and choosing safety shoes, provided that safety is assured! 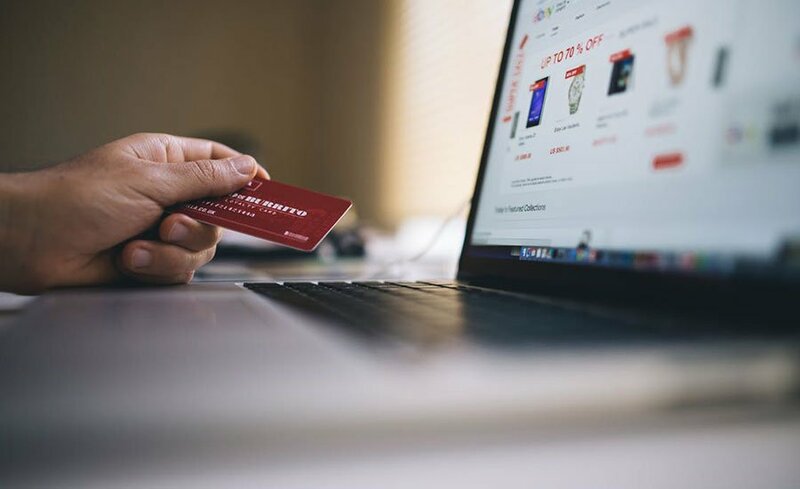 Some brand leaders recognize that foot safety isn’t only about protecting the feet from external threats, but also keeping their health and comfort to optimal levels. 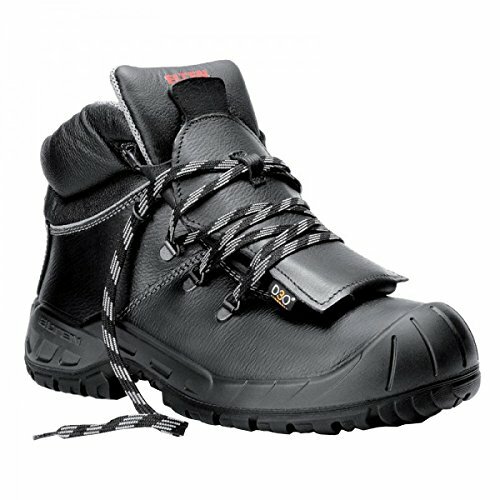 Hence, the best safety shoes are those that are flexible, ergonomic, light, and that absorb hits very well. • loss of protection: if the footwear loses the characteristics that assure the wearer’s safety (for example the slip-resistant soles losing grip, or the toecap being broken and not protecting from potential impacts anymore), the shoes must be changed. • wear of the sole: that may cause infiltration of liquids, slipping, loss of shock-absorption of the heels, loss of the electrical properties, instability when walking, etc. • wear of the upper: that may lead to a lower resistance to the infiltration of liquids, a lower protection of the ankles and less comfort in general because the inner line is worn out. • Bad smell: the inner lining can become full of bacteria that make the shoes smell bad and can also cause infections. Those were the main problems that can occur and that suggest it is time to change your safety footwear. Once you learn from this guide you will be safer in your workplace and you will avoid pointless risks. I assure you that if you wear the right type of safety footwear you will live a better work experience! 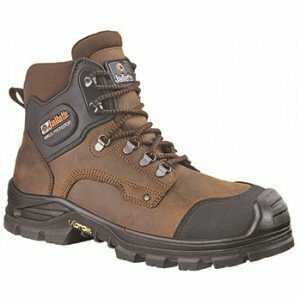 Safety shoes need to be replaced? What do you think of this topic?